BG Note: This blind item was posted on a public board by someone claiming to be a child star. We have no way of validating the veracity of their statement. We have left the item unedited. [Reddit] I am a minor in the entertainment industry. While certainly not a J Law or Swift, I am in the public eye. I still live with my family. There’s another major hitch, that being while i should have more money coming in next week, it would have been transferred straight to my bank account. Seeing as that doesn’t exist anymore I have no idea if I’ll even be able to get any of that money. I tried asking my manager about this but was given a “don’t you worry about that dear,” type of response and nothing more. BG Notes: The child lives in California and is 16. The child could be male or female and could be an actor or singer. [Optional]​ Your advice to the child? That manager needs to go to prison. Dad does too. There HAS to be an organization or group that can counsel and get this kid the help they need. Kids are vulnerable able and Hollywood has known about parents taking kids $$ for ages. Someone please help this kid out before they are totally broke. That father sounds like a nightmare. The California Child Actor’s Law: This law requires a child actor’s employer to set aside 15% of the earnings in a trust (often called a Coogan Account), and codifies issues such as schooling, work hours and time off. 15% isn’t a lot but it’s still a law. No idea who but I would file for legal emancipation ASAP and start saving to move out. Get an attorney… not the family friend. Ask other “child” actors for who to call and advice. Ask the money be set up in a trust, under your name, with an allowance to you monthly. Tell your manager, they work for you. If you’re getting big, or are big, get another manager. They are not talking to you appropriately. Tell your dad you could sue him. Sorry, but you can. This has happened before and they are the ones who will have a bad name. Not you. Child: Sadie Sink from Stranger Things? I just can’t imagine any other child actor gaining a considerable amount of money recently other than from that show. I don’t know who this is but I’m not surprised. The things people will do for money including apparently stealing their own children’s money ? A kid from Stranger Things. 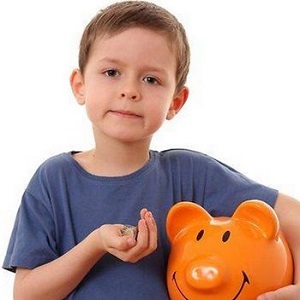 Whoever it is, CA’s Coogan Law (named for child actor Jackie Coogan, whose parents took all his earnings) requires employers to set 15% of the money directly into a trust for the kid, not to an account that the parents can reach, and also at its heart is intended to prevent this very thing. That kid needs legal advice pronto, and may end up having to be emancipated. I can’t believe that it would affect their career. Ariel Winter went through it very publicly. Get your own lawyer, kid. Just because your are underage does not mean they don’t have to account for your spent money. new lawyer, who will explain them what ” emancipation of minors” is. and no worry, if there is any sight for money there are plenty lawyers who will wait for their paycheck. You have to care for You, otherwise You will end broke, like Gary Coleman. Don’t know who it is, but the wording…very smart child. Maddie Ziegler? I’m assuming whoever wrote this is female because they compared themselves to other female celebrities. I’m also gonna throw Billie Eilish or Jenna Ortega in there too. Try to get a Child Advocate (or CASA?) through Family Court. He/she is obligated to “be on your side” and you don’t have to pay him/her. He/she can advise as to how to proceed. I would try mediation. Some kind of Trust needs to be established where you get a percentage for spending money and the rest stays in the Trust until you are 18 or 21 (actually, I would advise 25 or 30). You, your parents and the mediator can decide how much , if any, your parents should get in spending money. CASA’s are only assigned to children who are removed from a parental home through abuse or neglect. Not sure who but this person HAS to get the law involved! The father is stealing money and the manager is probably getting a large slice of that. FIRE the manager and get the law involved NOW before it’s too late. Go to either some kind of legal aid or call the prosecutor’s office. I think it’s called the Coogan law that a parent cannot take more than 10% of their child’s income. It sounds as if you could use a new manager. DO NOT tell your manager that you are seeking council from the authorities. You have the right and I don’t see why any “scandal” should badly reflect on you. You’re the one working for that money-not stealing it from a kid. From Wiki: “The California Child Actor’s Bill (also known as Coogan Act or Coogan Bill) is a law applicable to child performers, designed to safeguard a portion of their earnings for when they enter adulthood. I have no clue as to who the actor is but if it’s true, it’s totally illegal for the parent to take the funds. As of 4 Jan 2004, the “Coogan Bill” says that , money earned and accumulated under a contract under the code remains the sole legal property of the minor child. And the studios are mandated to put 15% of any income in a trust to protect the child’s interest. I’d refer the child to a decent entertainment attorney who can stop the parents from robbing the child blind. What about legal emancipation? If your parents are stealing from you, and your manager is uninterested in finding a solution, then perhaps that’s the only way forward. I’d also consider changing managers. Sounds like that person is only interested in getting their own cut and don’t care too much about what’s best for you. Why would you want to continue working with someone like that? I have no idea who the star is, but I’m sure they’re female given the fact they used JLaw and Swift as comparisons. I would advise the star to research emancipation and the Coogan Law, which requires the minor’s employers to set aside 15% of their earnings on a trust. California law does not allow withdrawals from the trust until the minor turns 18. Time to file for emancipation and get a new manager. My advice to the child is emancipation! And I would find a new attorney, file for emancipation. Contact the child actor org started by Paul Peterson, take back your power! I think there’s more to this story. There are laws in place to protect minor entertainers and their assets. ‘The California Child Actors Law’ (aka “The Coogan Law”) and the organization ‘Child Actors Supporting Themselves’ (CAST) helps child entertainers/athletes protect & manage their money. It’s not as easy as it once was to get away w/ this and there’s much more vigilance in preventing it. Which makes me wonder what details are being left out (think Amanda Bynes). No, I wouldn’t call the police… first. Call Social Services. This is child abuse, pure and simple. From the sounds of it, both parents could be thrown in jail. If the actor is in a union, and he should be, there might be a pro bono lawyer that I’m sure would LOVE to take over this case. I don’t know who you are, but get yourself to a lawyer straight away and get some advice on what can be done to protect your earnings. I don’t know who the child is, but dear, if you are 16 years old, it’s time to declare yourself an emancipated minor. (I did this when I was 16 simply by completing a form at the DMV while getting my first California driver’s license.) From there, you can open your own bank account, and have your pay directed to the new account. Your folks won’t be able to touch it. The drawback is, now that you would legally be an adult, they could kick you out of their house. Don’t know who but sounds like a female (“dear”). Advice: use their legal rights, file for Emancipation of a Minor (frees under 18 from control of parents), search for a reputable lawyer in their state who specialises in this area, ideally contact someone whom they have successfully represented for testimonial / advice / support, start collating as much info as possible and make that appointment. There are some snakes out there and some of them happen to be parents! He’s from a well off family that is also well connected in the Entertainment industry and philanthropy. I have no idea who this is but I wish them the best. I would be super-pissed if this were me. My advice: There are some banks that will let you have your own checking account at 16. I think BOA does. If there are any adults that you work with that you trust, ask them for help. And there is an organization (non-profit) called A Minor Consideration that was started by former child actors to help minors in the acting profession. Reach out to them and see if they can help you. Say something to the producers, the director, the older cast members. There are a ton of people in the business who have gone through this and know what to do. The Jackie Coogan laws were enacted for a reason. “Upper Middle Class” is a common term used in Canada and the US. This could be any kid in Hollywood. There are advocate groups in Hollywood that do just this sort of thing, by sticking up for the minors and getting them legal help, etc. If the manager called her a “dear” that makes me think this is about a young woman. Hope she changes managers and has future earnings put directly into a trust fund that only she has access to. Stealing from your kids is lowest of the low..
Chloe Moretz? She’s not 16, she’s 18ish I think. Find a different manager, one who will look out for her money and not let others abuse it. I’m the parent of a child who will likely out earn me in a decade or so; I hope so and I hope he doesn’t think he owes me a thing. Good parents are not jealous of their kids, they expect them to make more money, be happier, be more successful. Anything less than that is not a good parent. She’s 21, definitely old enough to handle her own money. Maybe that Moana actress? She’s 16. There is an industry group “A Minor Consideration” that focuses on child actors. Maybe they have a pro bono lawyer or accountant who could audit the account. If the theft gets worse she sadly may need emancipation. Jenna Ortega? I know she’s 16 and lives California. She lives near me and I know her parents have good jobs but aren’t considered rich. Please contact Paul Peterson at A Minor Consideration. Hopefully he can help you. Yes, Paul Peterson is a great choice. He’s done great work with kids in Hollywood. after writing my comment, I wrote Paul Peterson. He wrote me back, asking for details so I sent him the blind. He’s on the lookout for this person to contact him. Please call him. Don’t try to handle this by yourself. By the writing and a few details I caught onto the first minors that came to mind were some kids from The Andi Mack show. I just checked out the reddit post and I’d say the kid already got some pretty good advice. Hopefully it works out for him. Time to get emancipated and to form clear boundaries with your parents. Find a new manager too (your current one is complicit). I find it strange that your parents wouldn’t just be thrilled that you are doing well and are able to provide for yourself. Most parents would love that! My advice: Find a lawyer (a really really good top-notch lawyer) that has no ties to your family. Best of luck to you kid. You’d be surprised how many parents take advantage of their kids money.